Baggage house/Express House s were one structure. 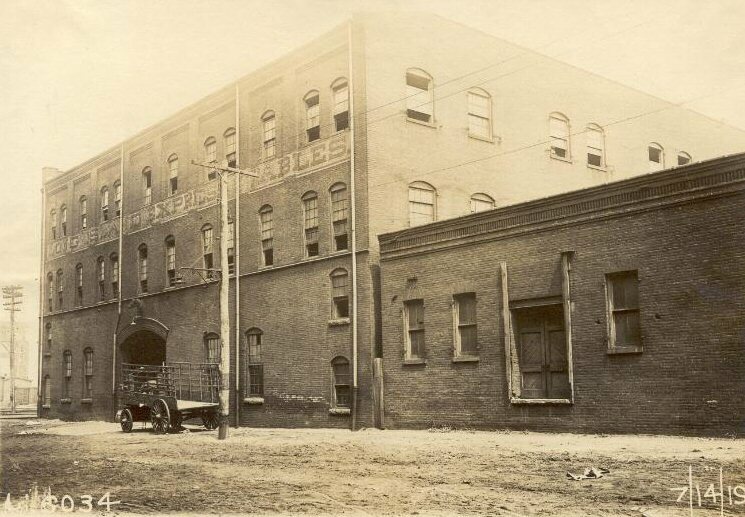 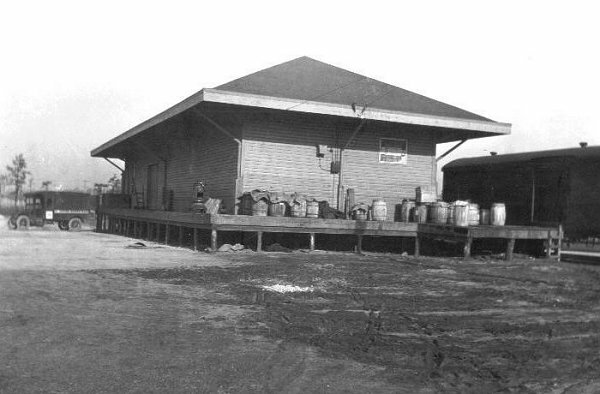 The freight house was a separate, independent structure. 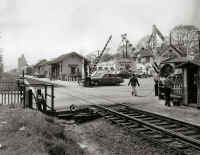 All stations that had agencies had baggage/Express House s. Baggage was considered what riders carried . . i.e. 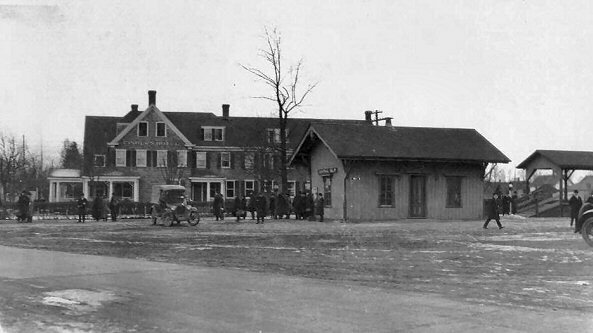 suitcases, steamer trunks, etc. 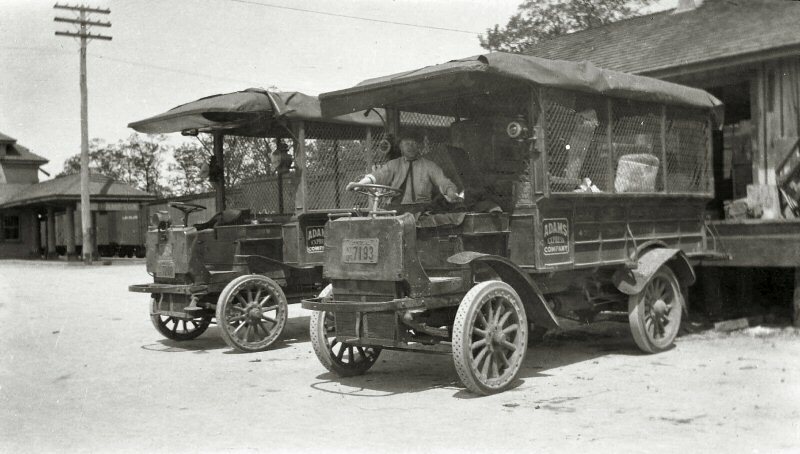 Express was like what UPS delivers today. 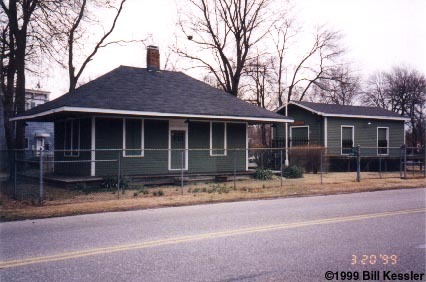 Today's "Brown" was yesterday's "Green". 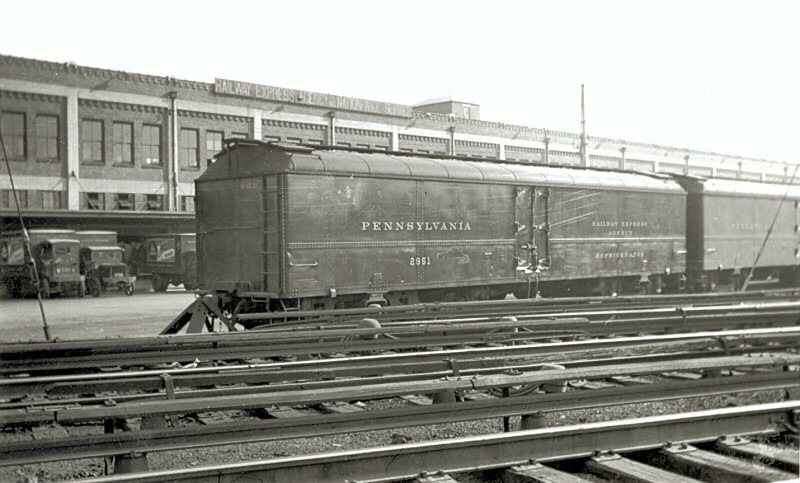 Not all stations handled freight. 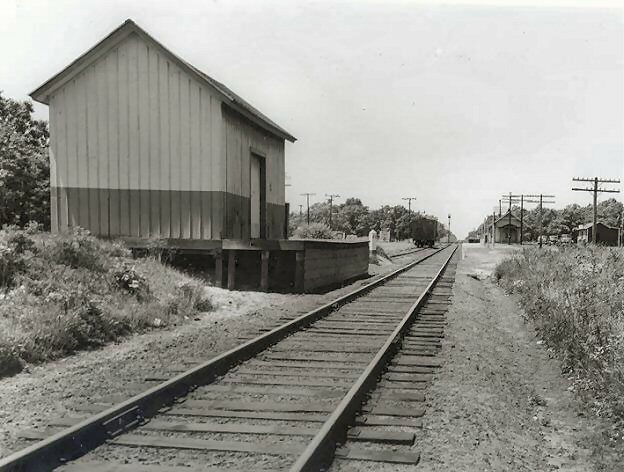 If they did not handle freight, they did not have a freight house. 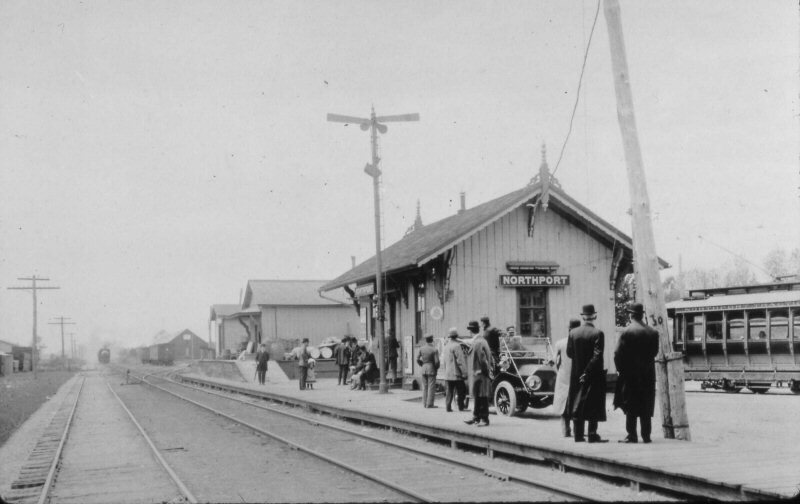 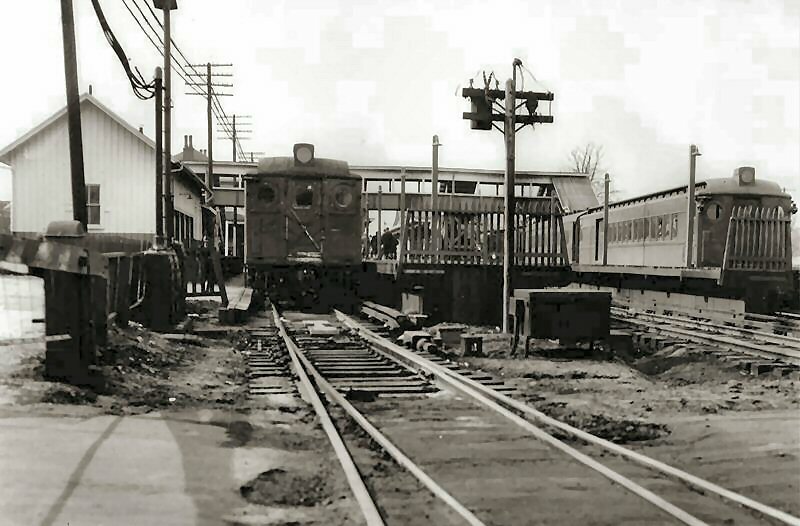 Also, the baggage/Express House s were located at the extreme ends of the platforms, as the baggage/express/combine cars were located directly behind the tender of the locomotive or were the lead car behind the diesel and when the train made the station stop, these cars were able to be spotted exactly in front of the baggage/Express House s or elevated platforms. 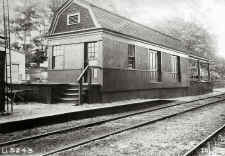 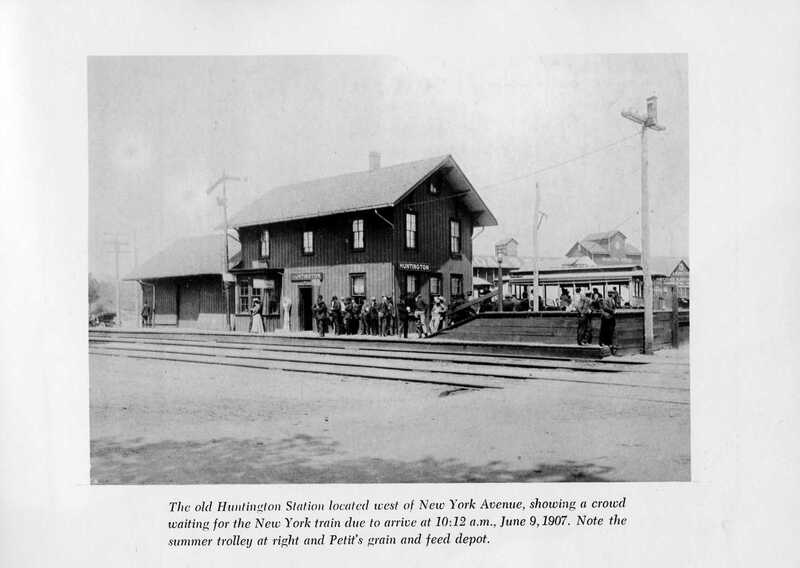 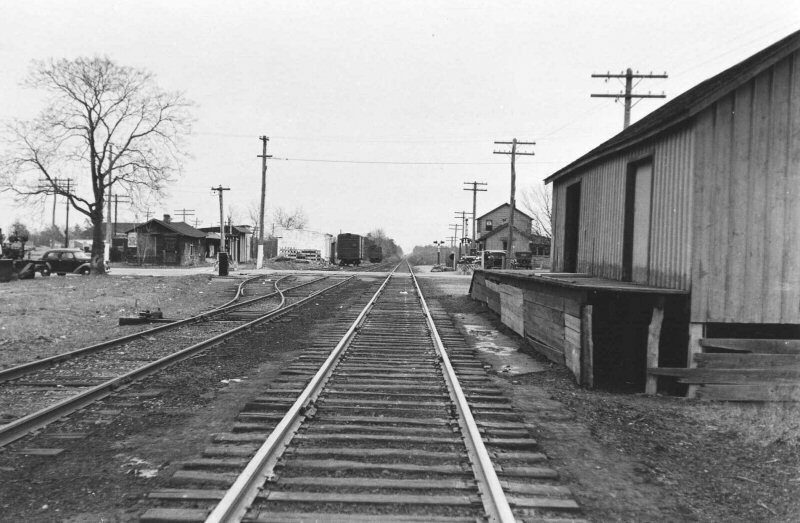 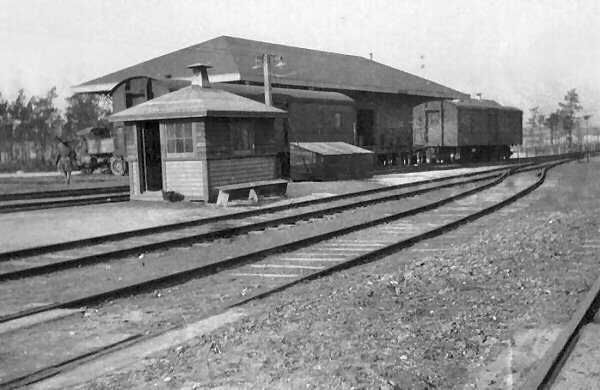 The freight houses, while they COULD be near the depot as in the case of Patchogue (west of Railroad Ave, north of the tracks), they were usually located some distance away, where the team tracks were located. 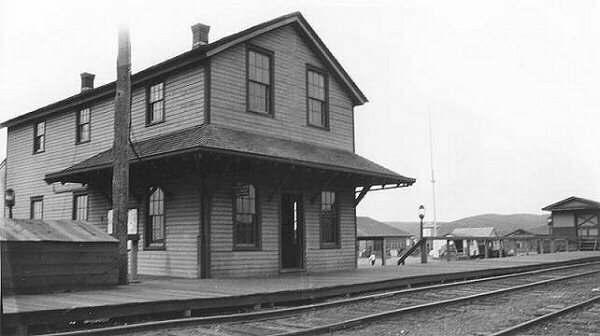 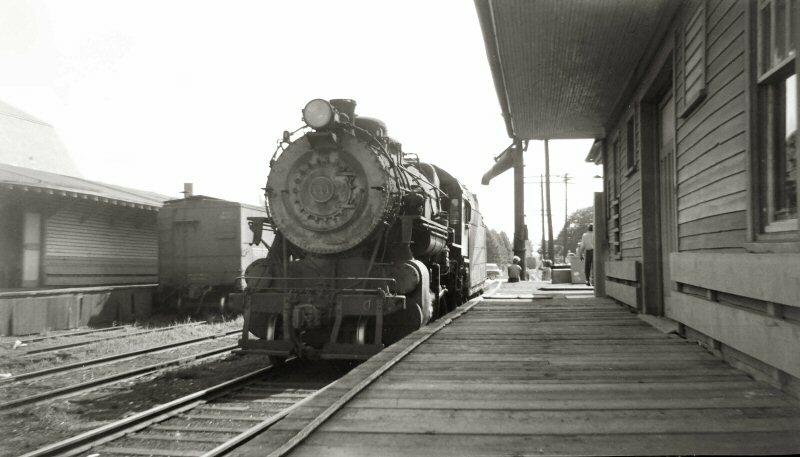 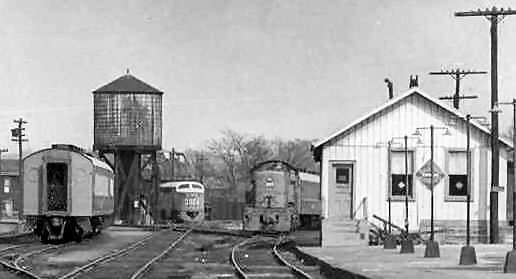 Some freight houses were quite a distance away from the depot, as was Lynbrook, Babylon, Floral Park, Oakdale and Huntington for examples. The express business was handled by the LIRR's representative a.k.a. 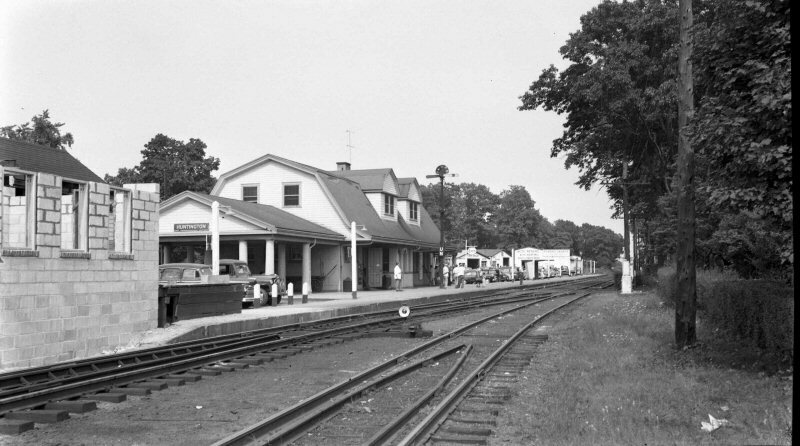 "Agent" at small stations, such as Medford, Central Islip, Ronkonkoma, Centre Moriches, Speonk, etc., etc. 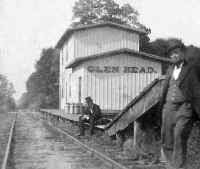 These men were paid a little extra per hour for handling the express business. 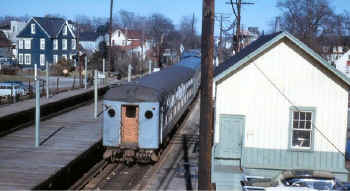 All LIRR agencies handled passenger's baggage. 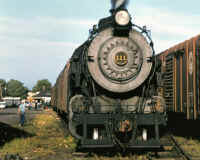 Again, baggage defined as luggage, suitcases, steamer trunks, etc. 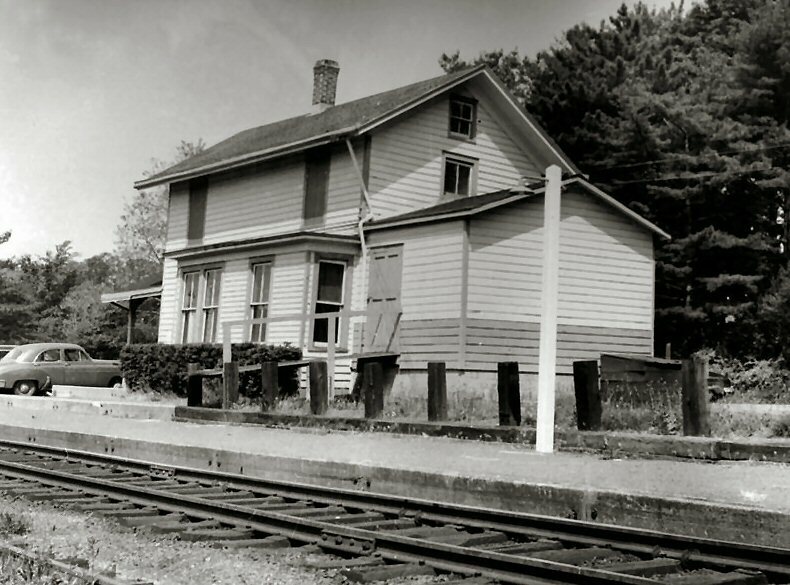 Other structures were unique to the railroad architecture. Express House s were usually open platforms. 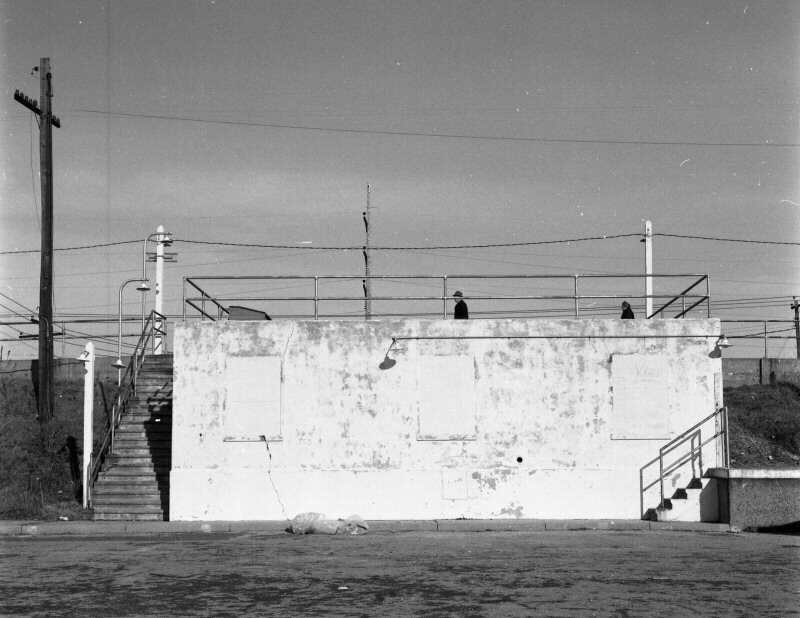 Later a roof was added but it was still an open, windswept platform. 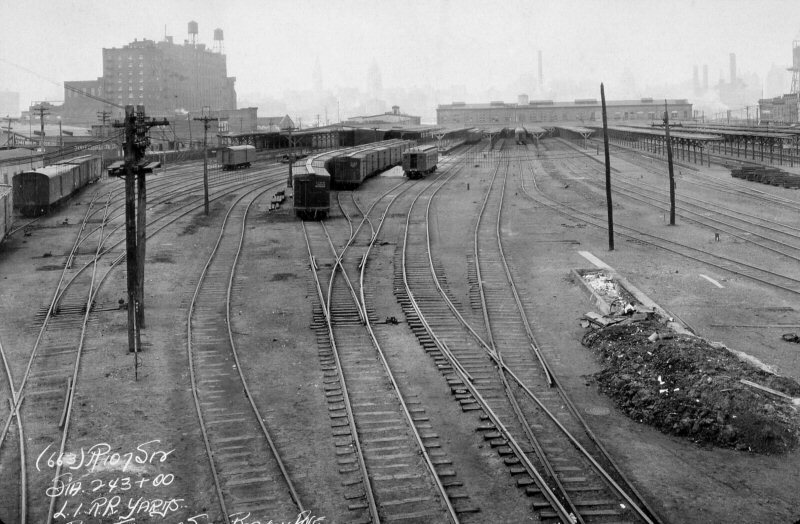 Still later, walls and a sliding door were added and a conventional "box" structure was now in place at the eastern and western ends of the platforms albeit some structures were larger than others and some had larger westbound structures than they had eastbound, because more stuff was shipped off the island rather than on. 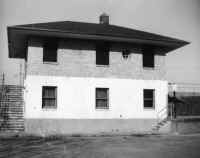 Goods were unloaded on the platform and onto an elevator within the building and unloaded on 41st Road. 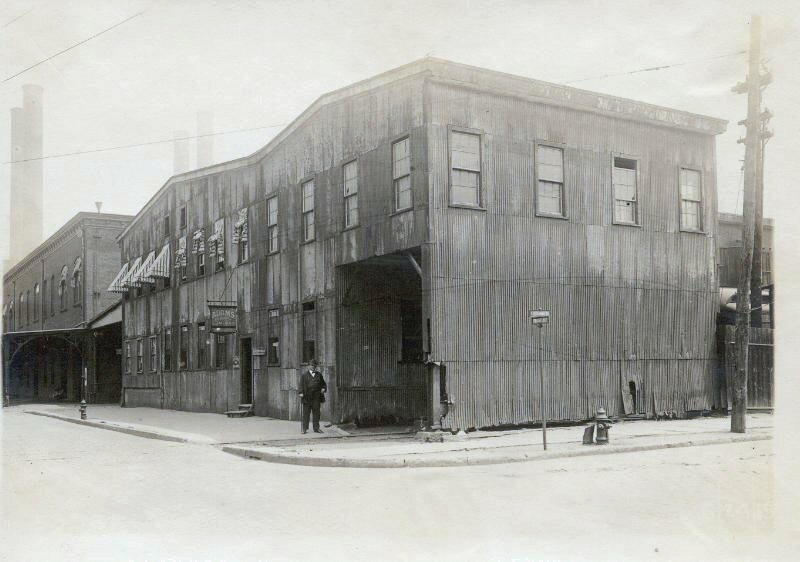 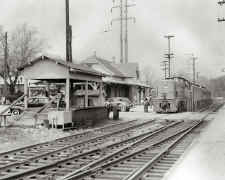 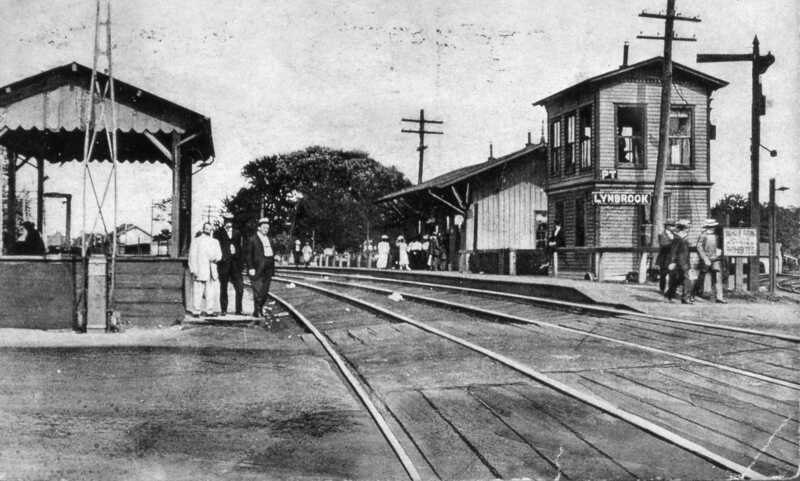 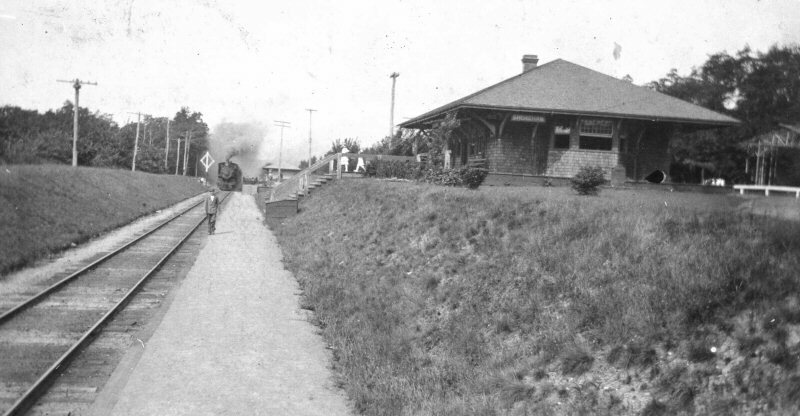 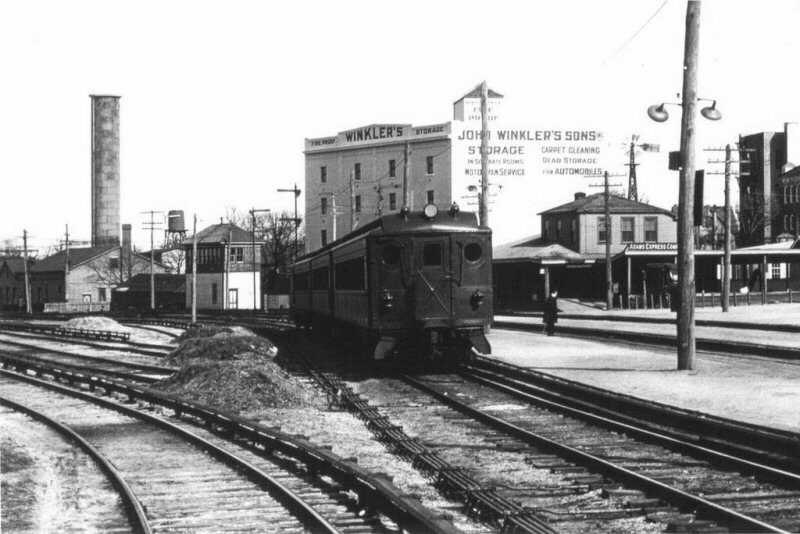 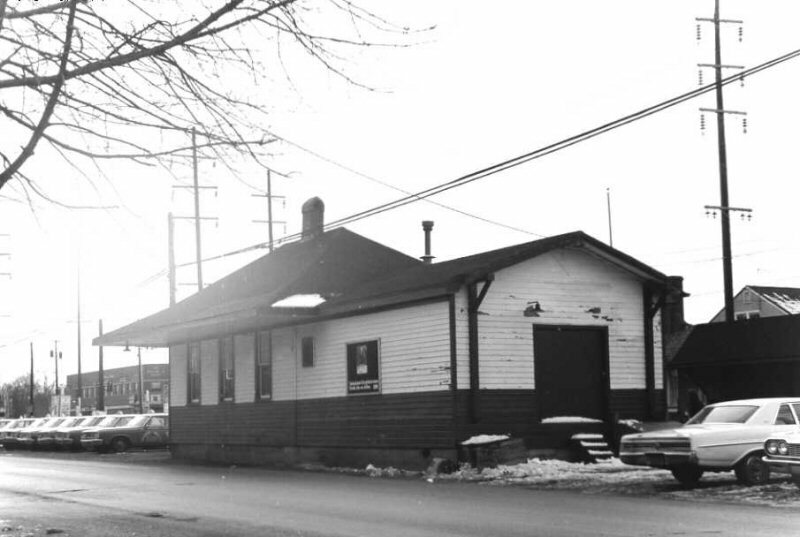 Note: Bayside's freight house, for example, was at grade east of the station plaza where the team tracks were located. 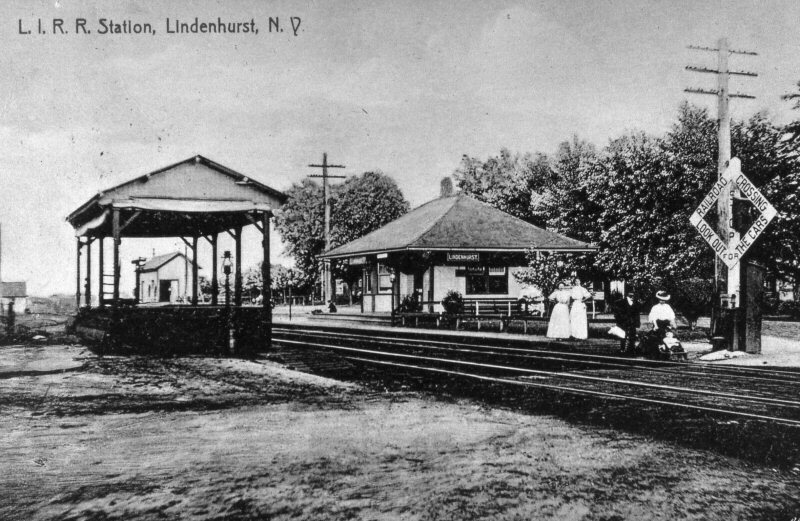 Ditto for Lynbrook, Valley Stream, etc. 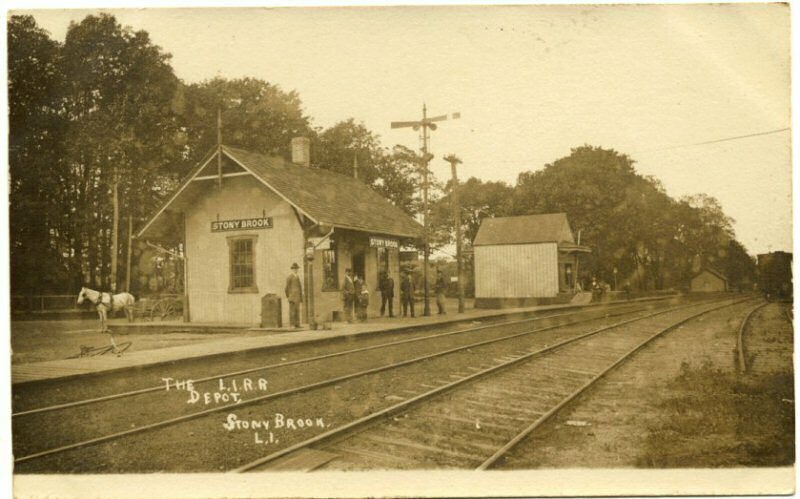 Ditto for Lynbrook, Valley Stream, etc. 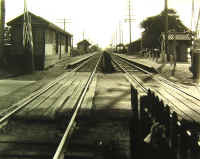 Freight needed a means to be off-loaded which meant at structure at grade and nearby the team tracks. 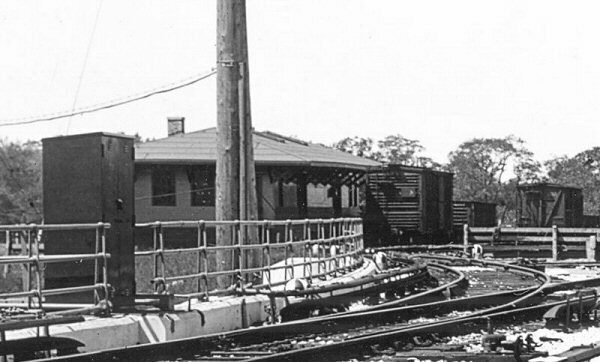 The brick structure shown at Bayside with elevator accessing the sub-grade station platform was for lowering and raising customer's baggage to and from trains. 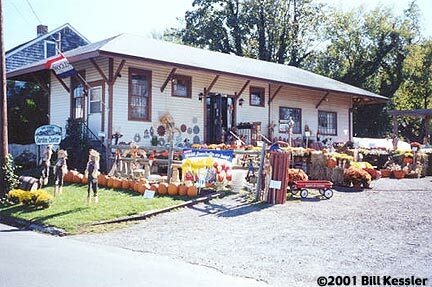 Perhaps express items as well. 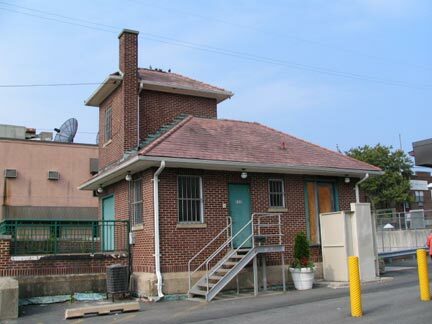 Ditto for the elevator shaft visible for many years above the elevated Valley Stream station . 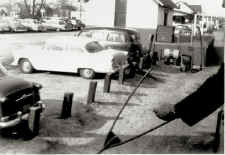 . . used for baggage and some express. 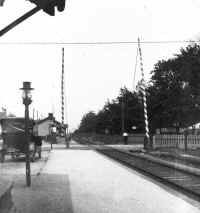 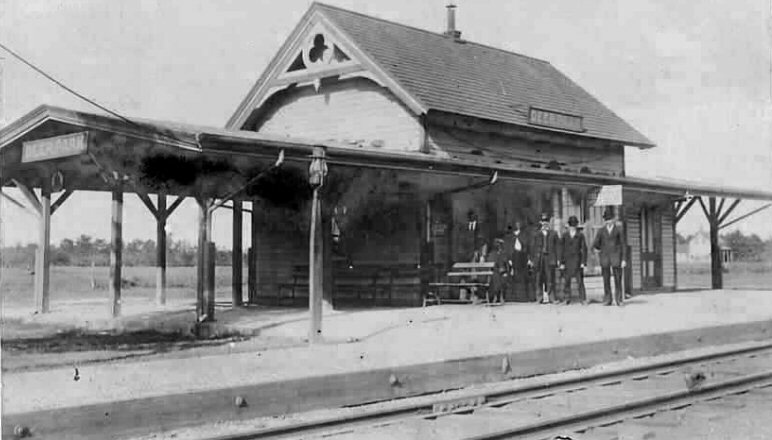 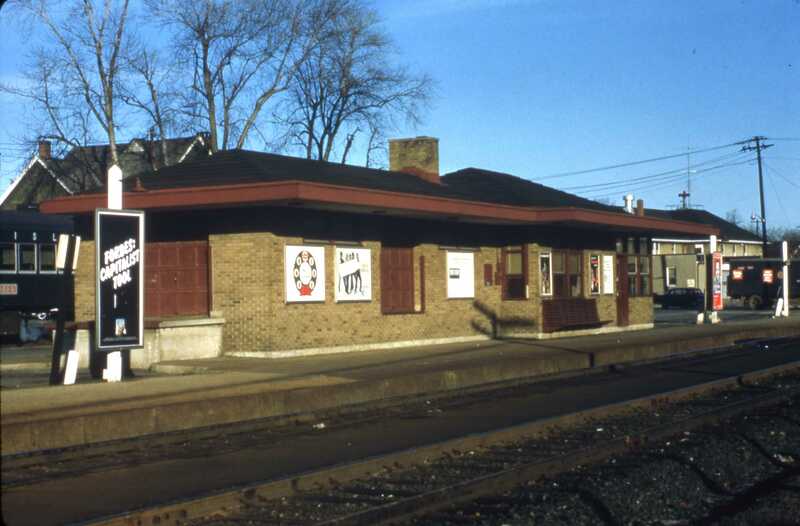 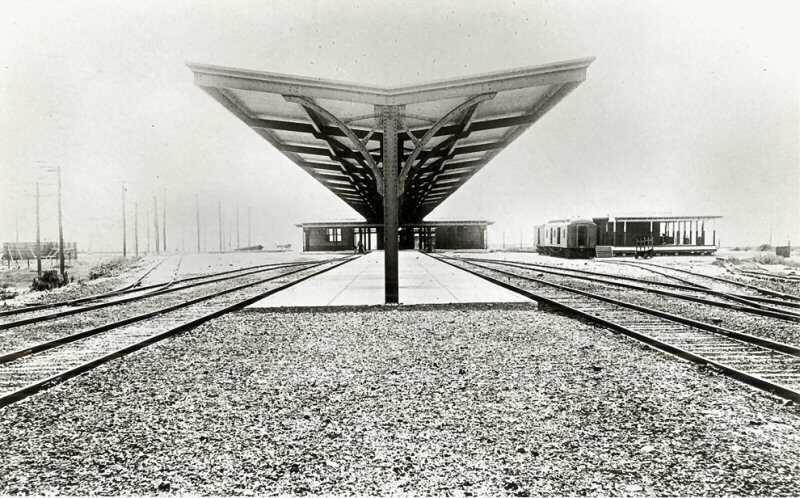 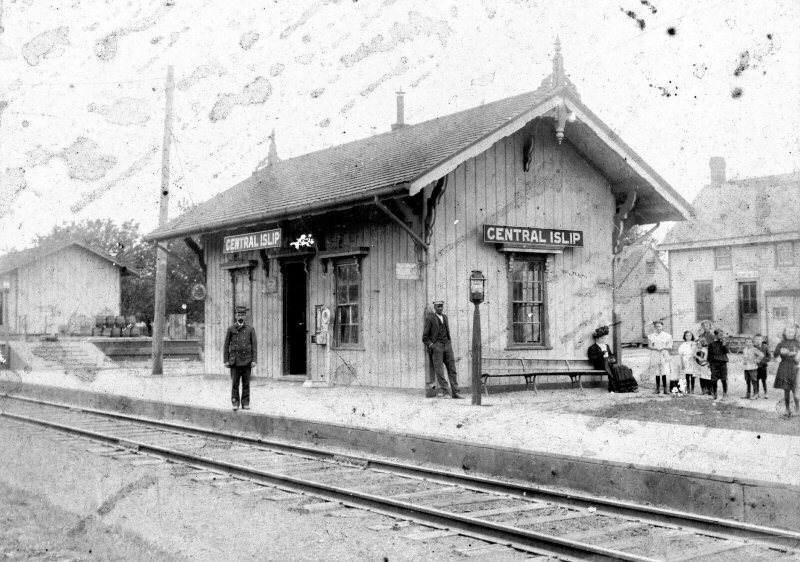 At Central Islip, there was an open express platform with roof at each end of the station platform. 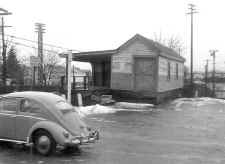 Both were later enclosed. 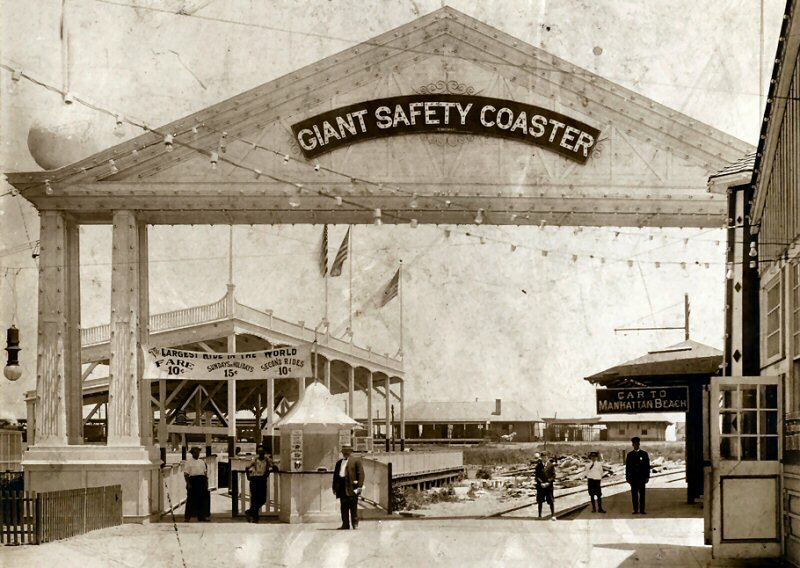 But . 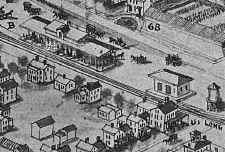 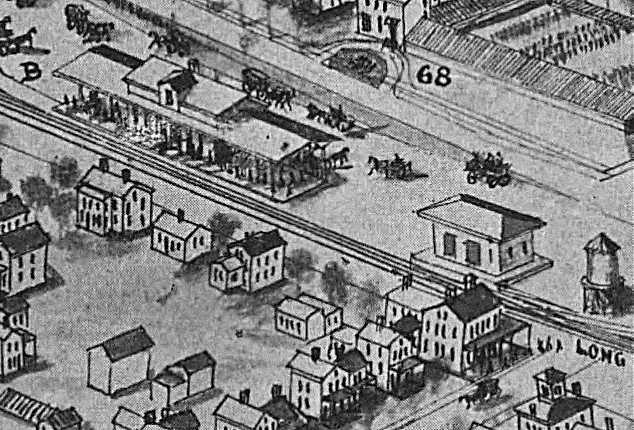 . . the freight house was located behind of and west of the depot at the team track, almost adjacent to Suffolk Avenue, quite a distance north of the Main. 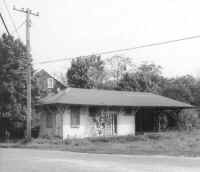 Notice it was too small and becoming ramshackle as you can see (right photo), so it was torn down and replaced with a cement block structure. 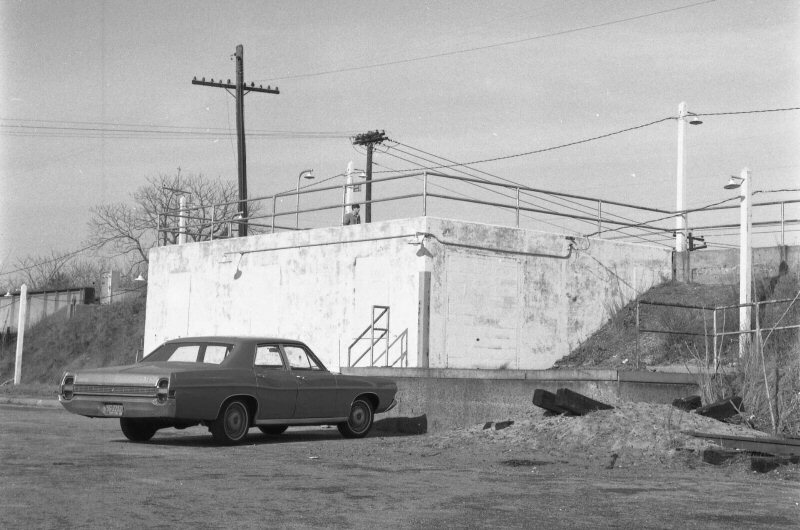 This concrete structure was built as an addition to the Express House and not as a replacement to it. 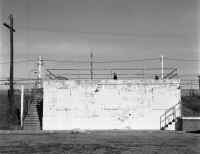 It appears that it's butted up against the west side, with the cement blocks tight against the track, allowing no loading platform. 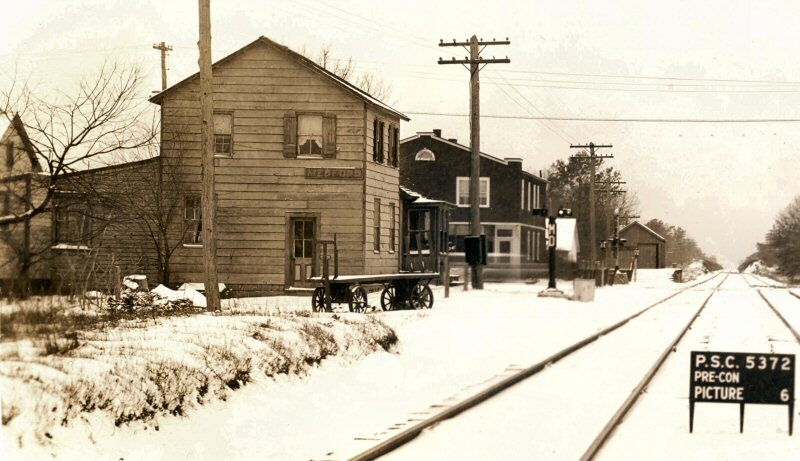 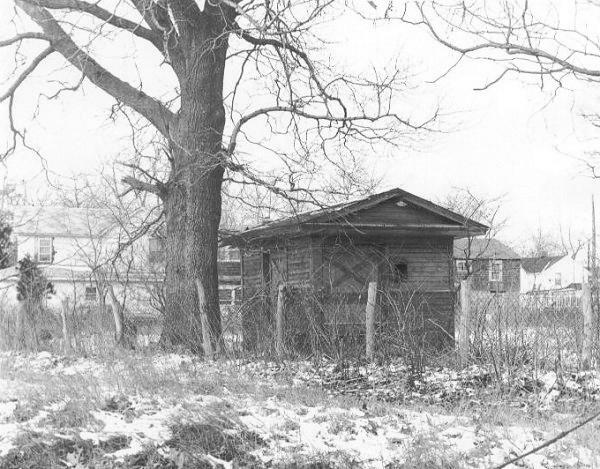 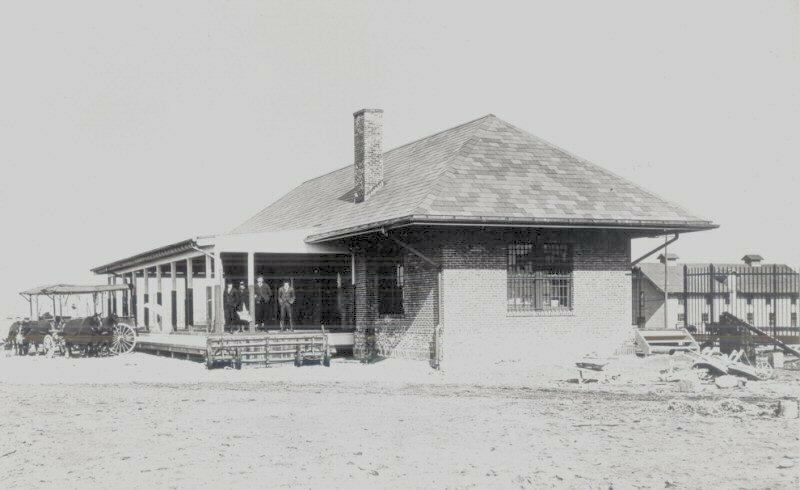 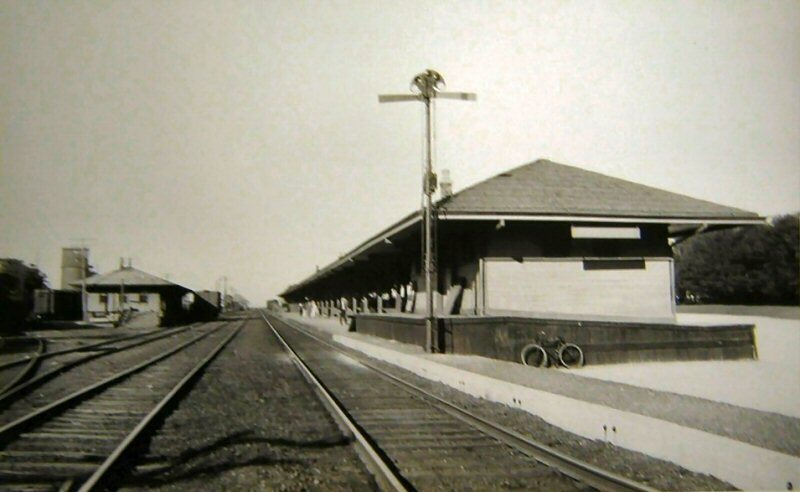 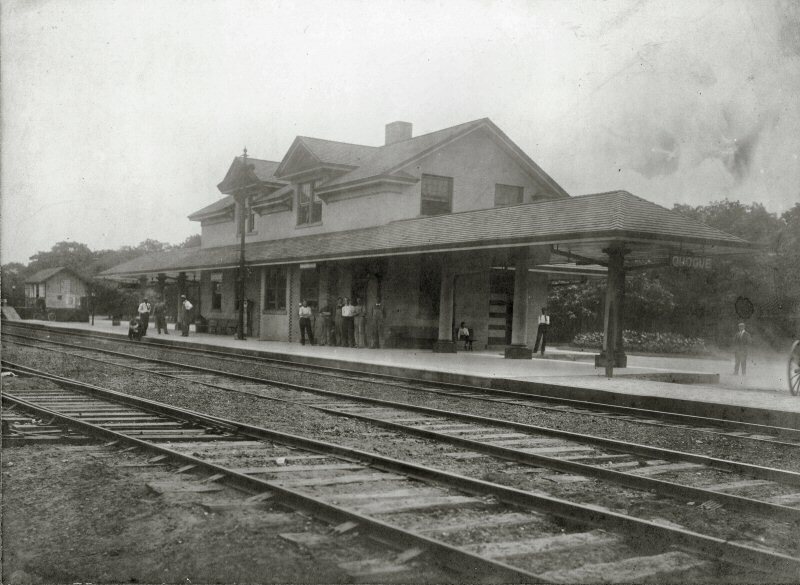 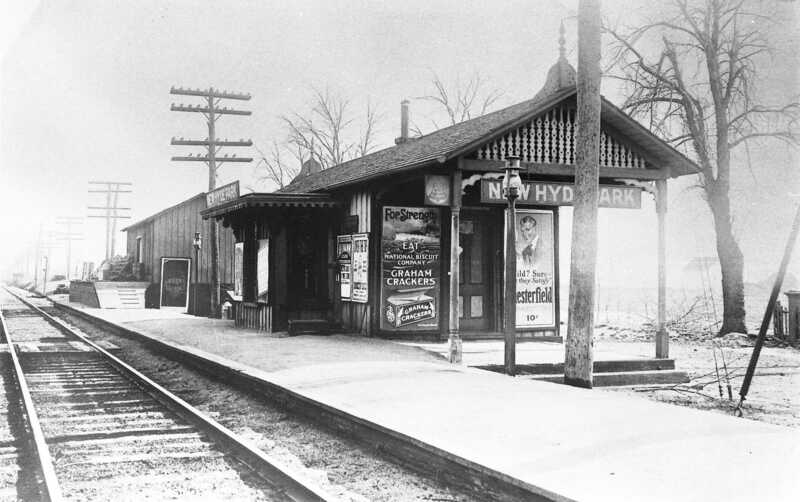 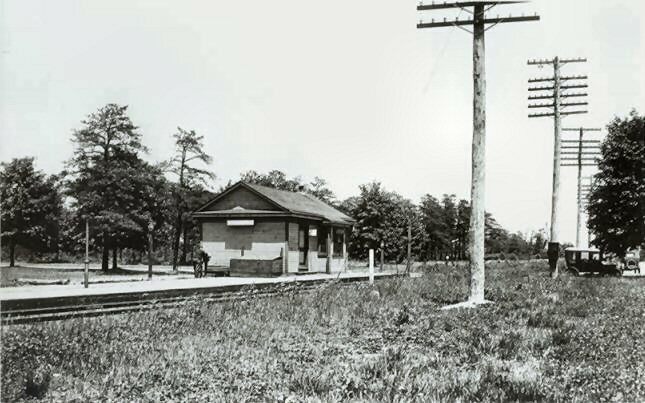 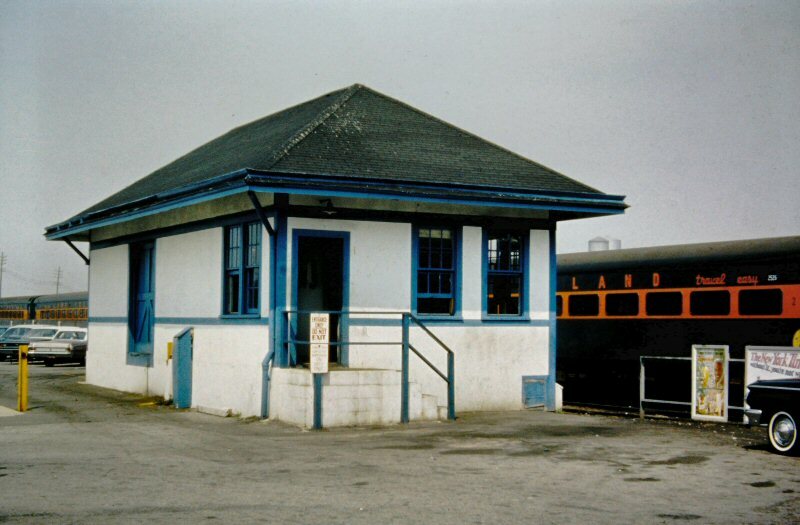 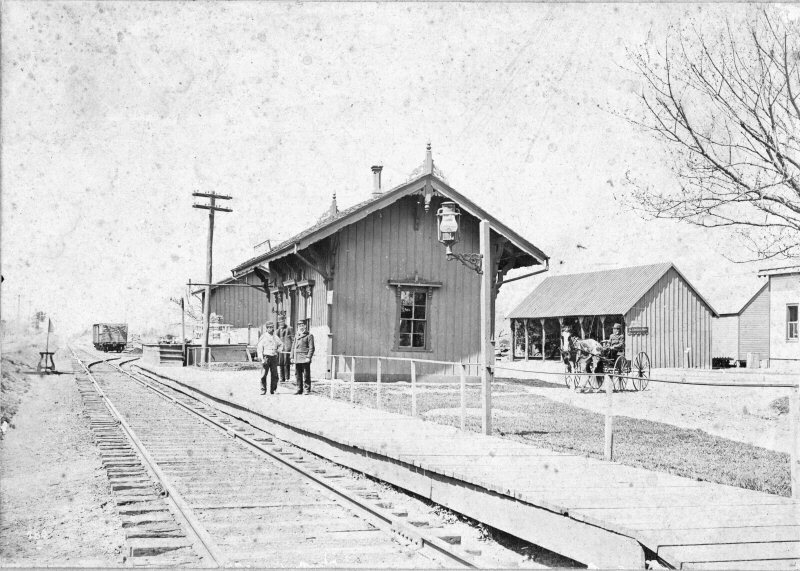 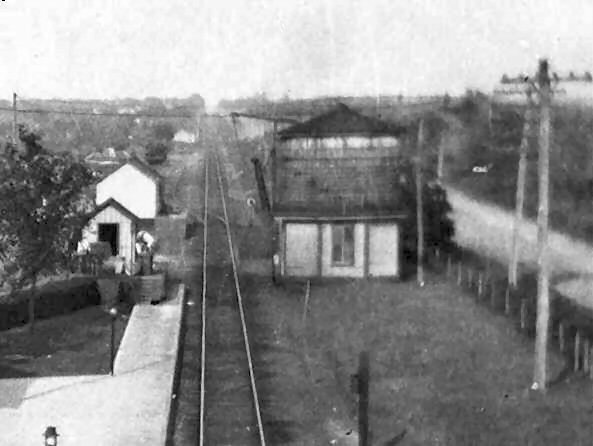 This prior to the newly built structure to the high-level express platform , thus this is the old Express House with the platform in front of it, but it's truncated by the newer block structure on its west side and in the front part of the photo. 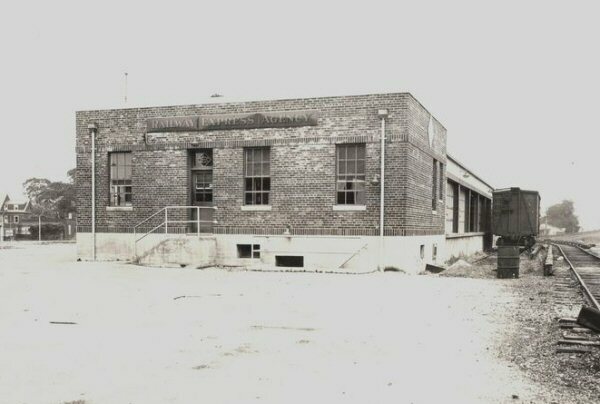 to original "as built" condition. 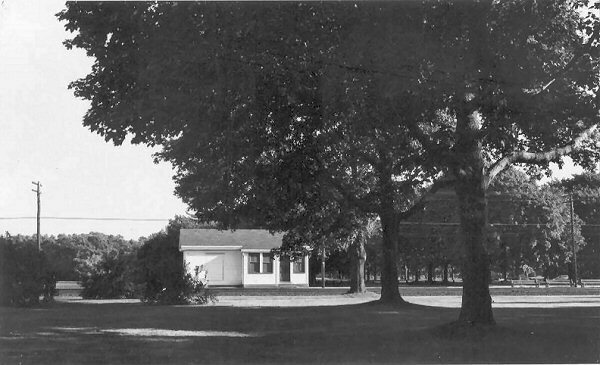 Village of Lindenhurst museum site. 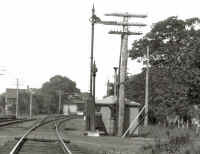 Mastic freight/express View W. Team track stubs out on the west side of structure. 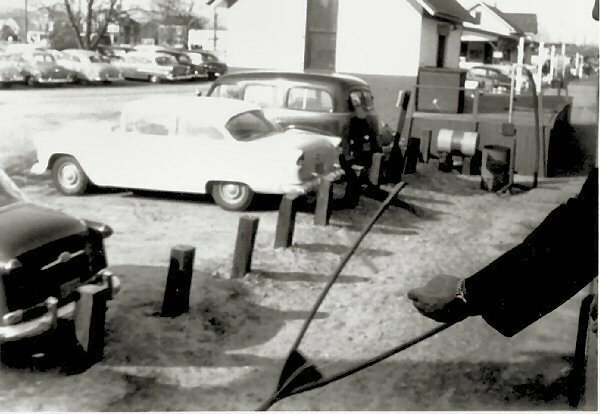 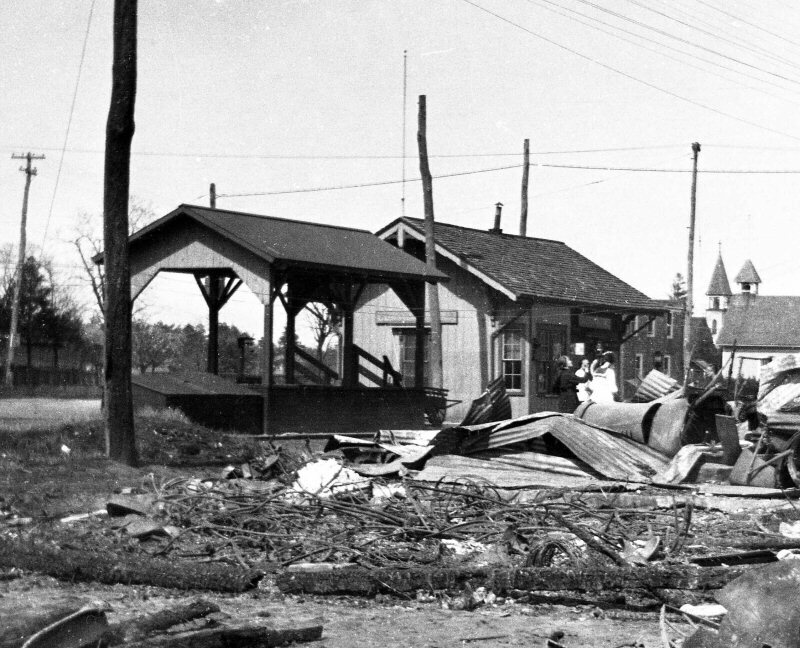 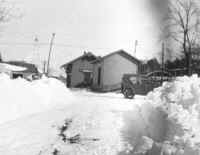 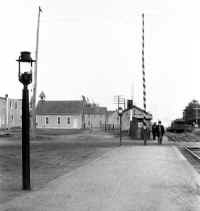 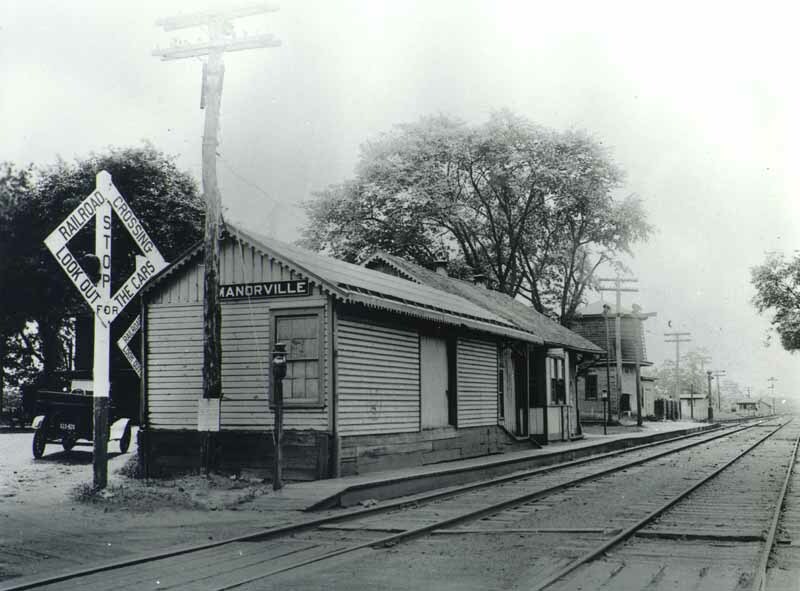 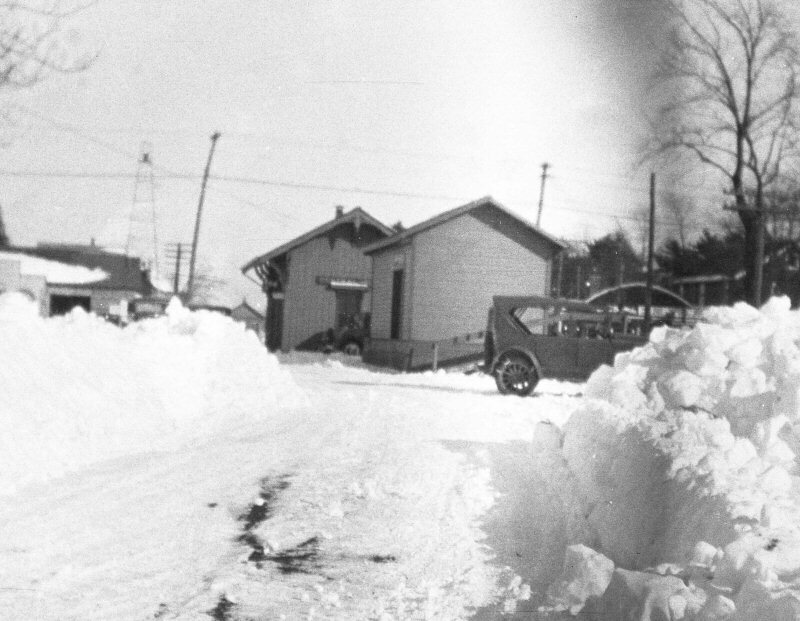 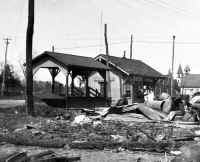 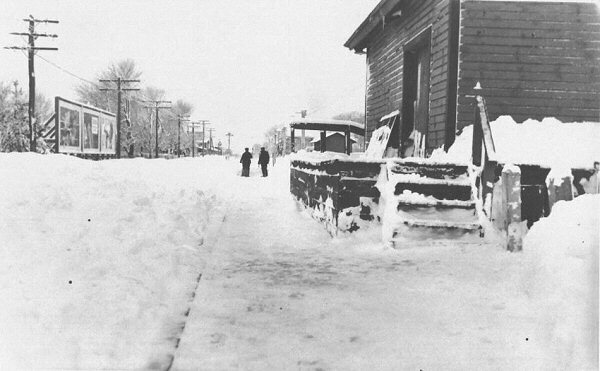 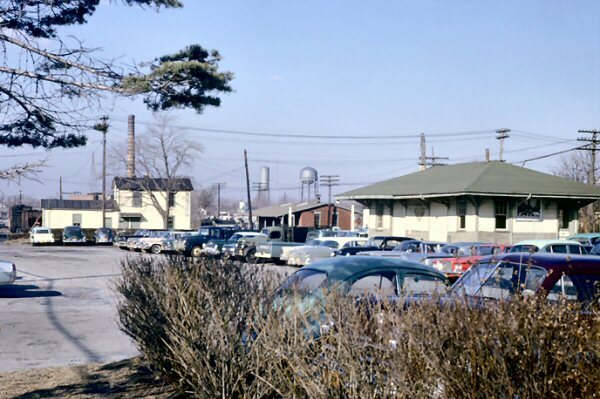 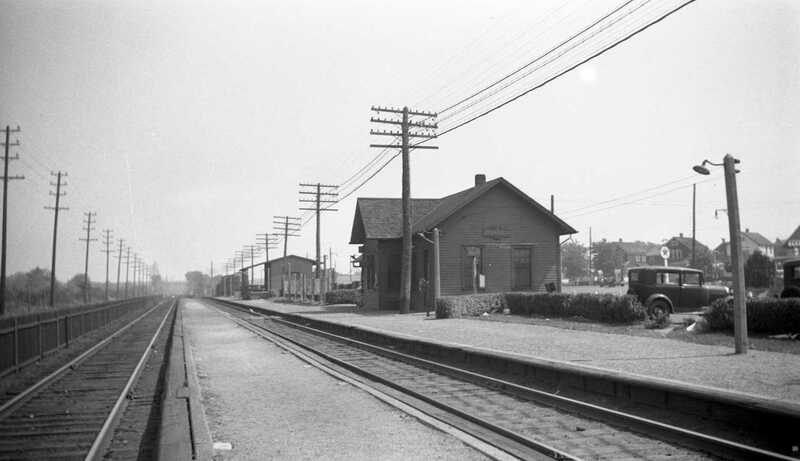 Depot in right background, c. 1947. 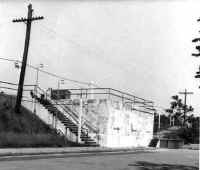 Manhattan Beach station and Express House in distance through the entrance for the Manhattan Beach Coaster ride. 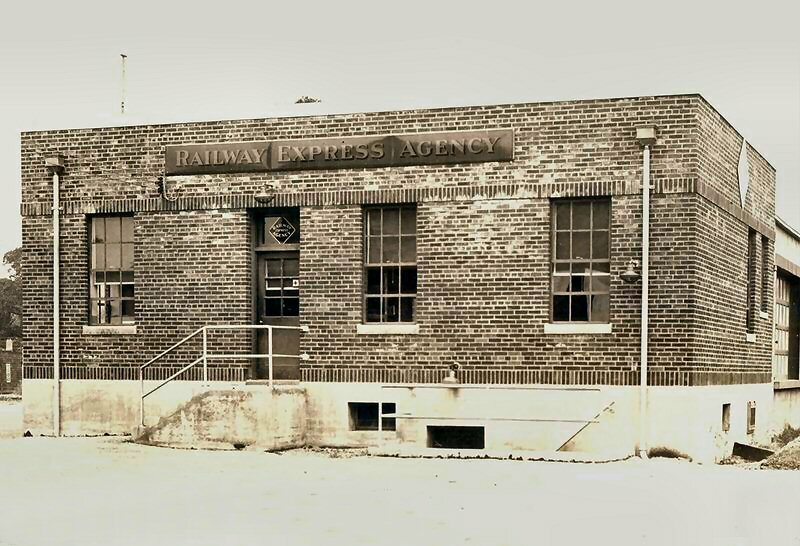 Pinelawn, c. 1920s Double doors in use to access the express/baggage room. Pinelawn, 1970 Double-wide door to the express/baggage room had been closed in after express service ended. 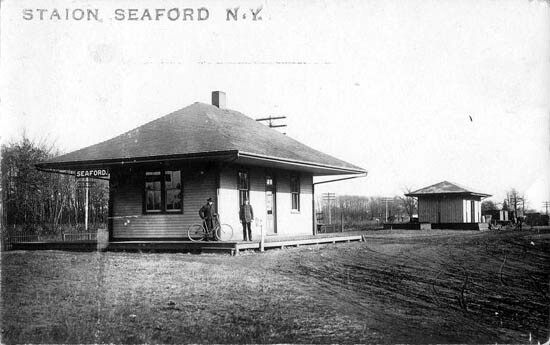 Former 1900-era Express House at Sag Harbor shown on 1/24/2006 years after move to private location at 11 Spring Street and recent renovation for business use. 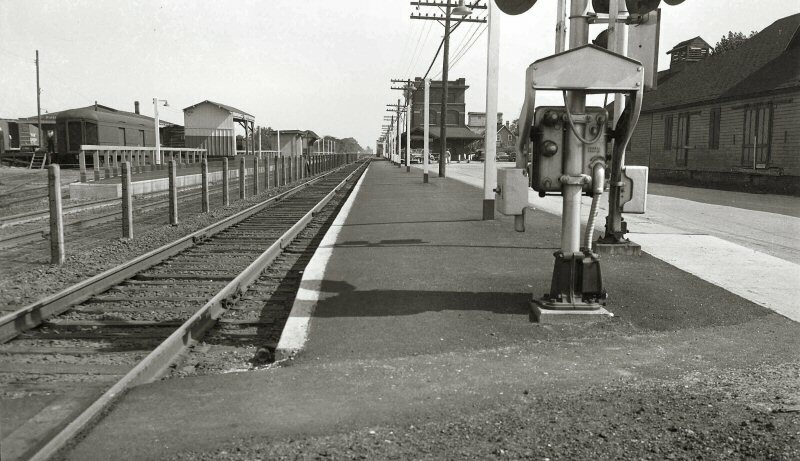 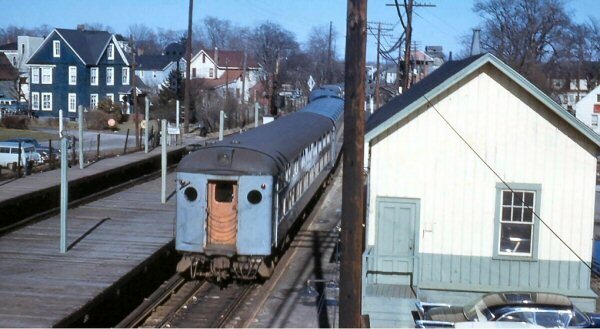 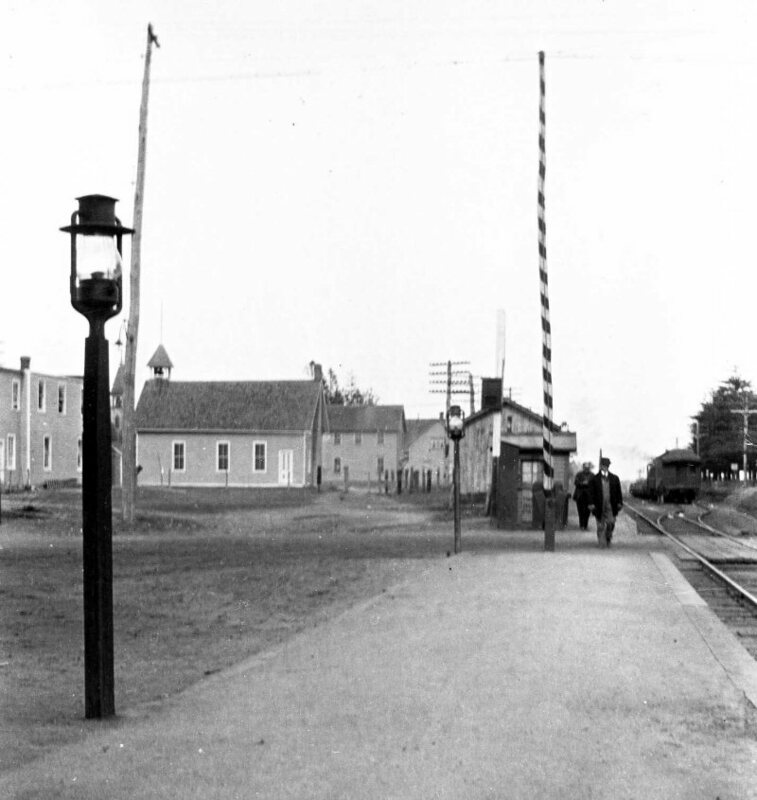 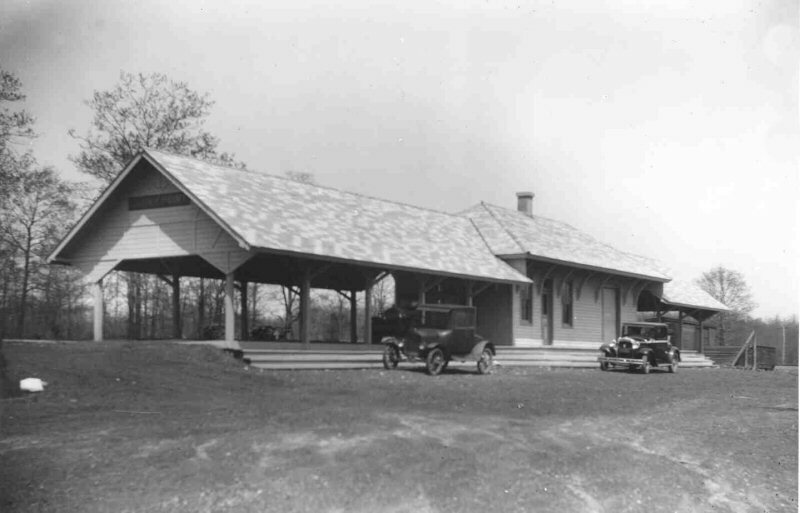 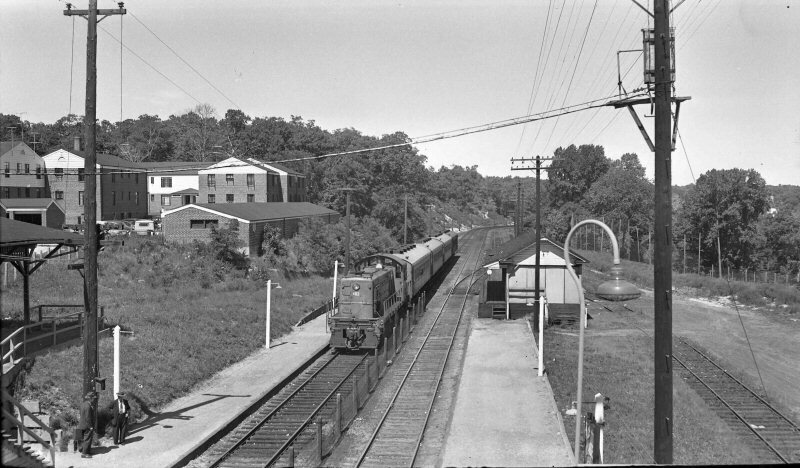 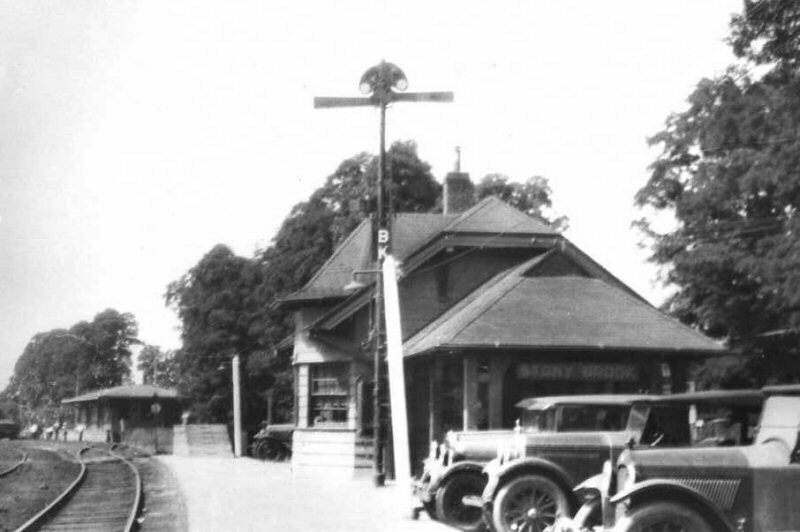 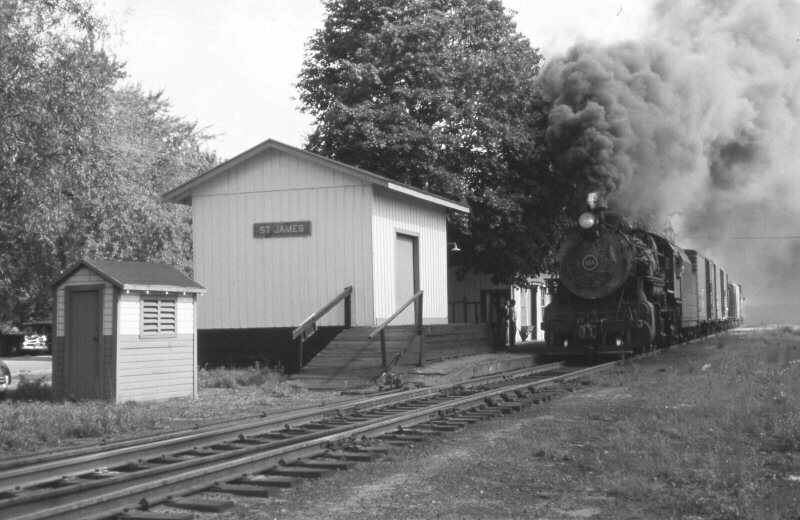 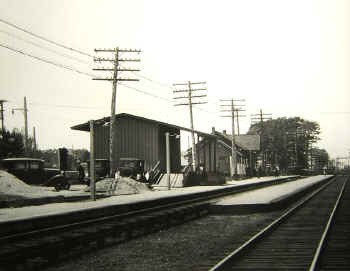 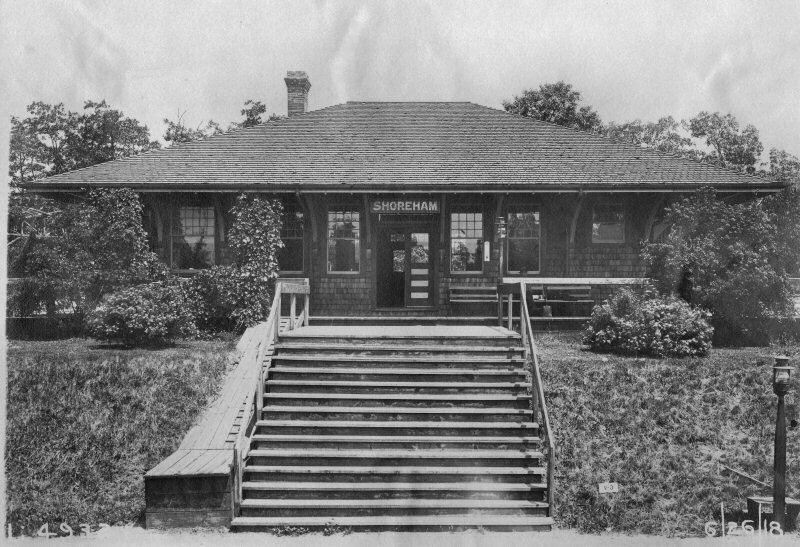 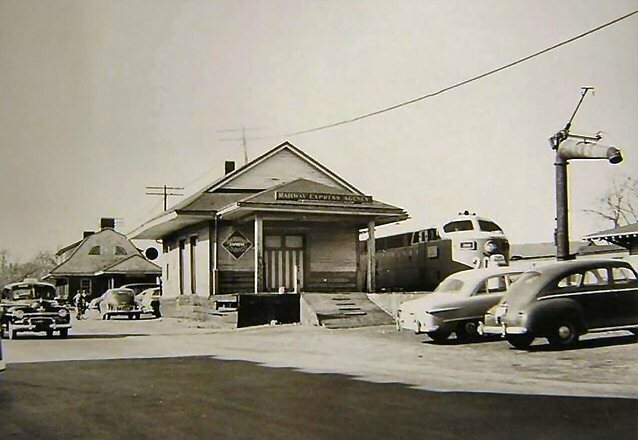 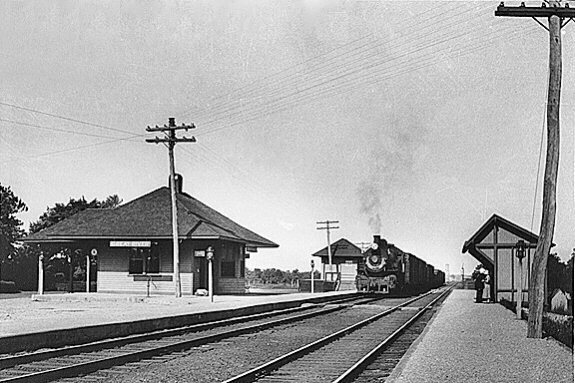 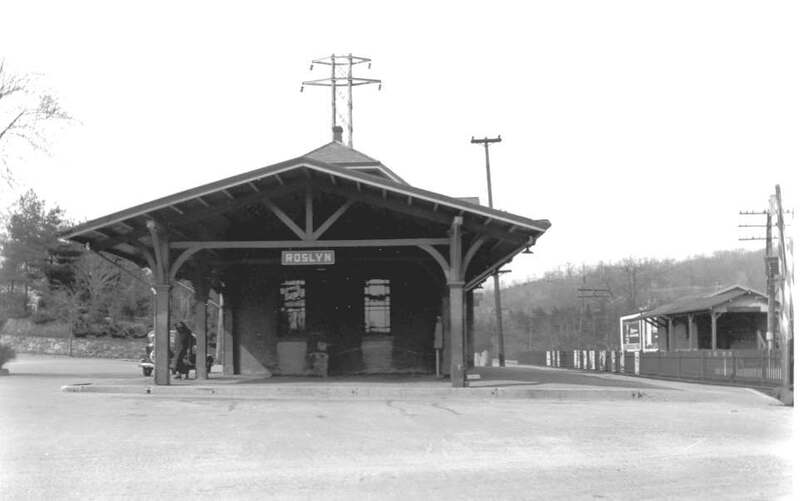 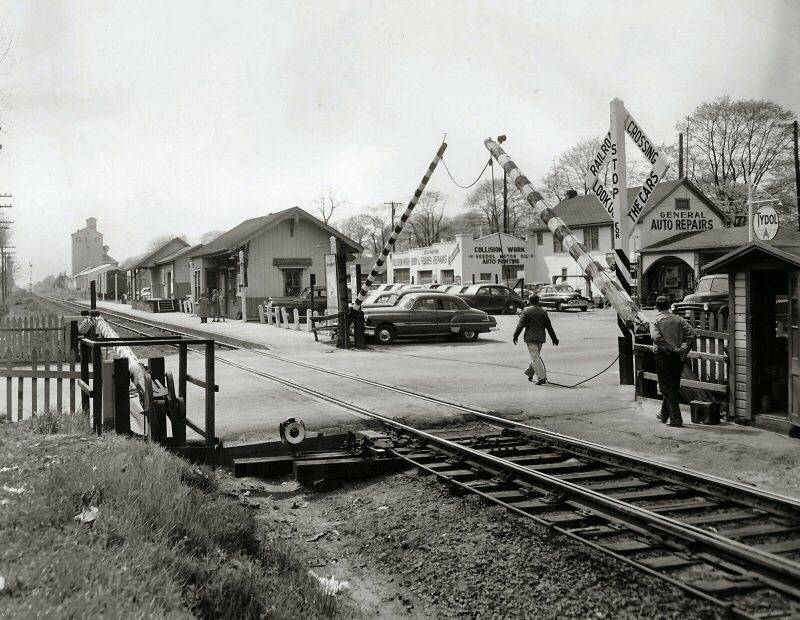 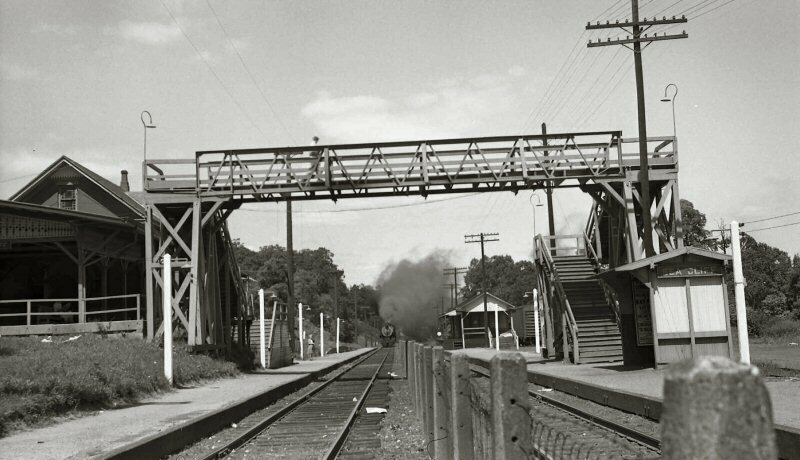 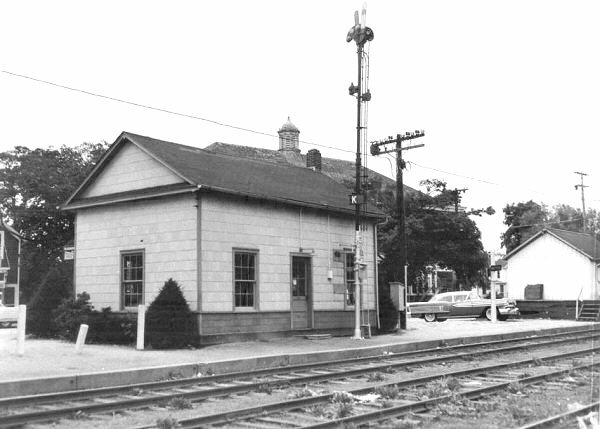 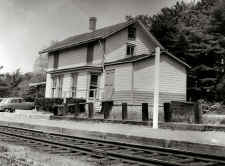 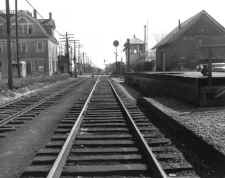 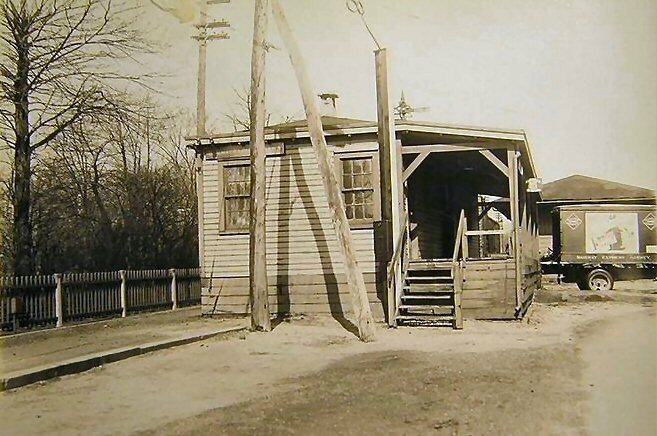 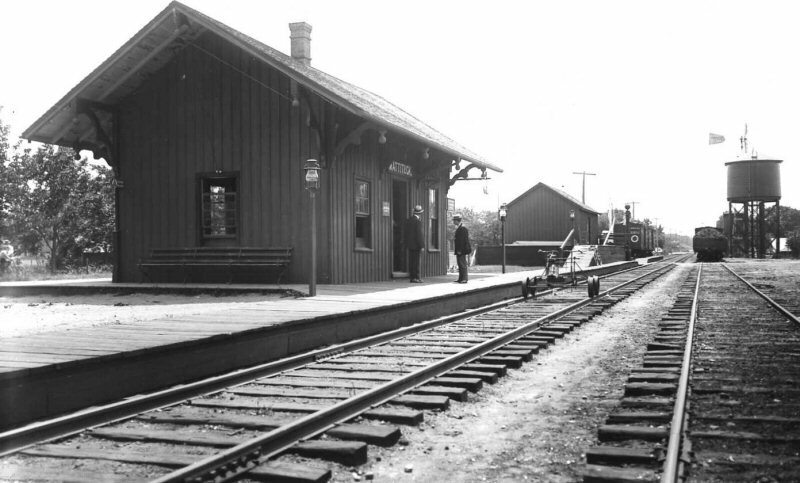 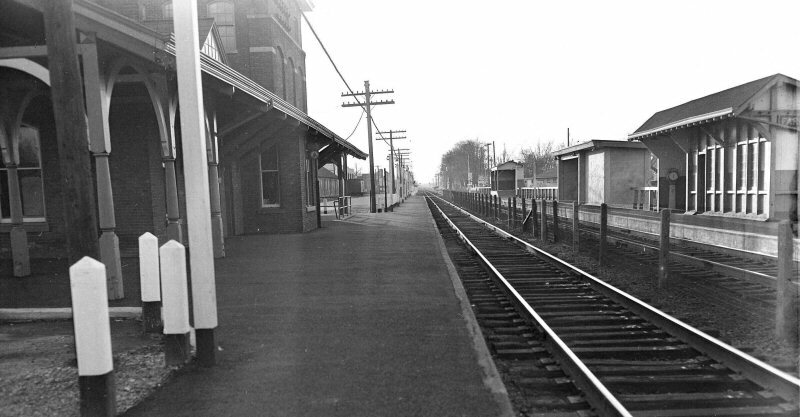 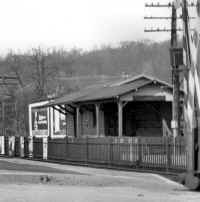 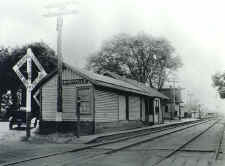 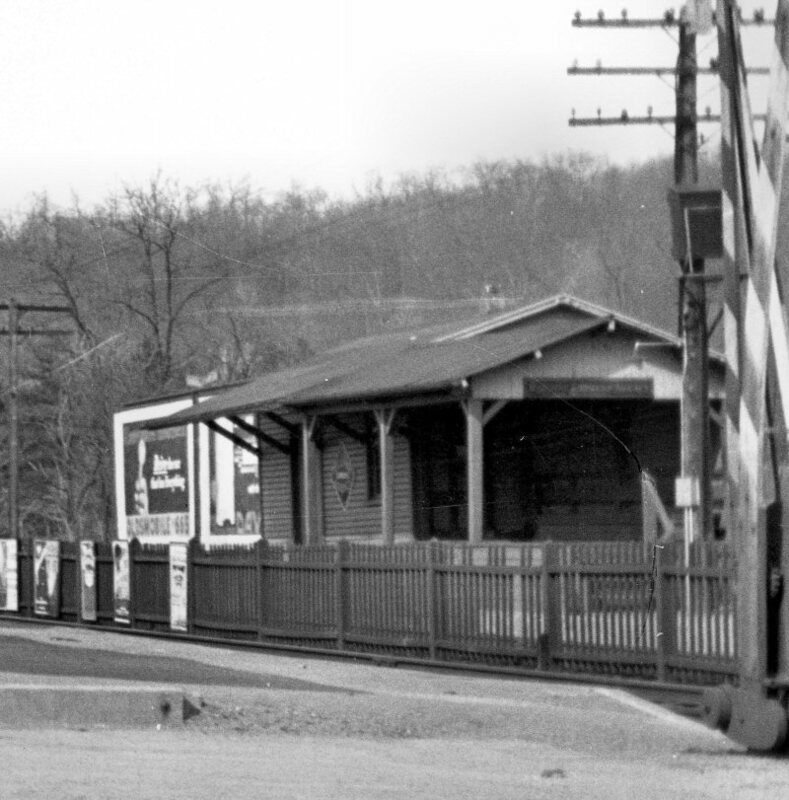 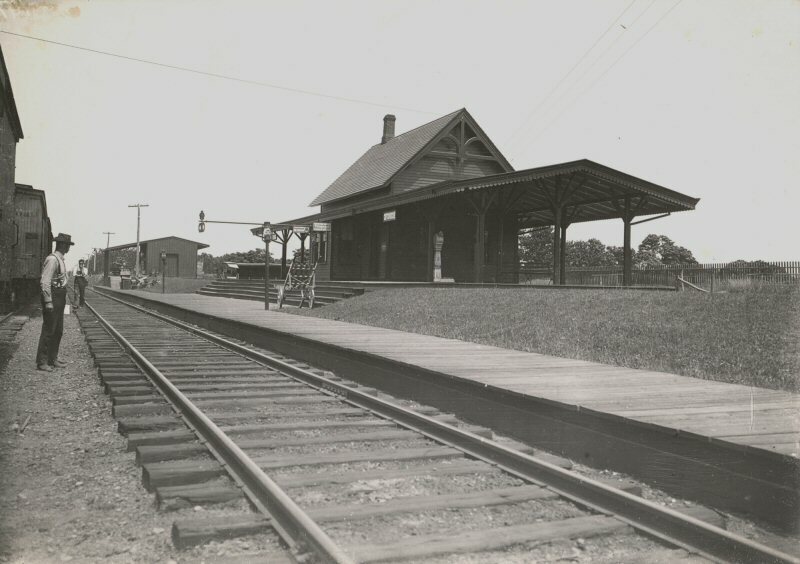 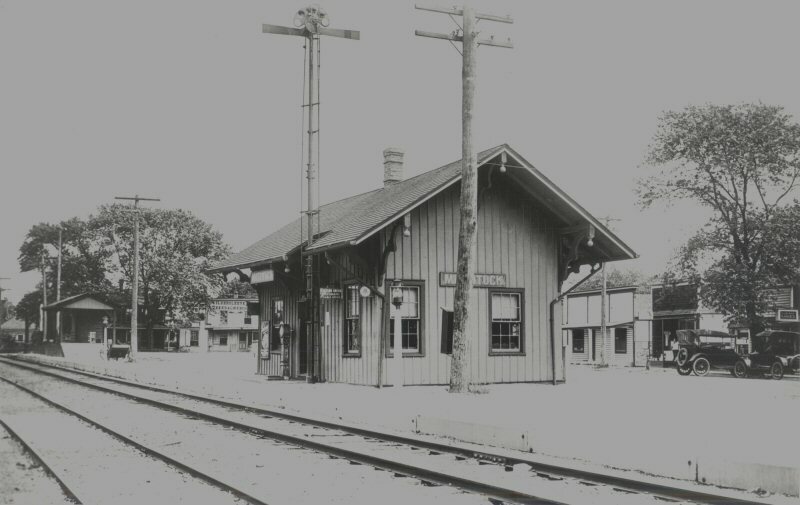 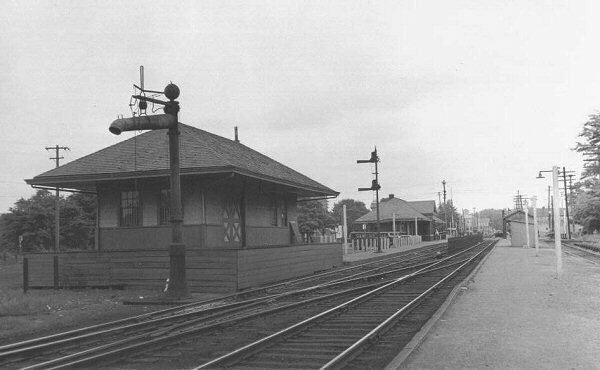 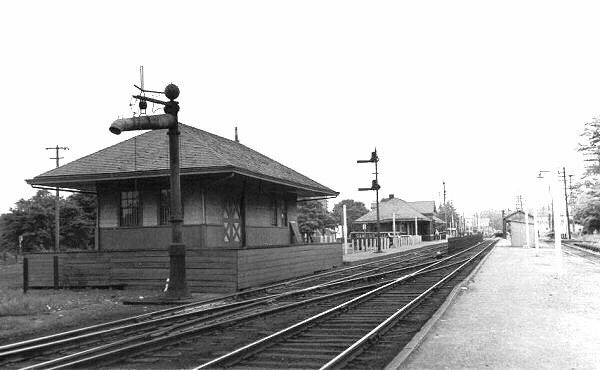 Setauket station and attached Express House 1952 View NW. 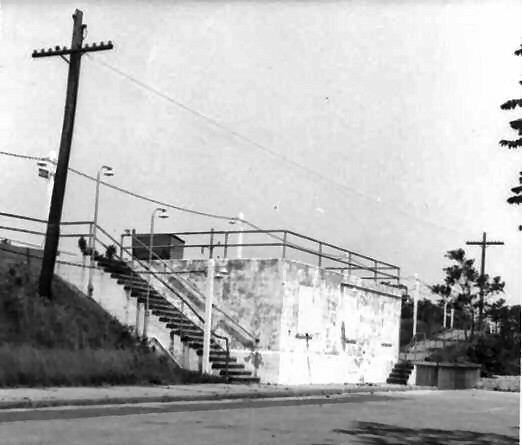 Note the ramp from the Express House door to track and car level. 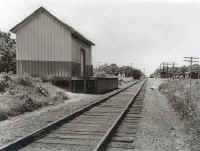 R. Emery Valley Stream 8/1958 map MP15-16 Note #11: "Freight house until 1955." 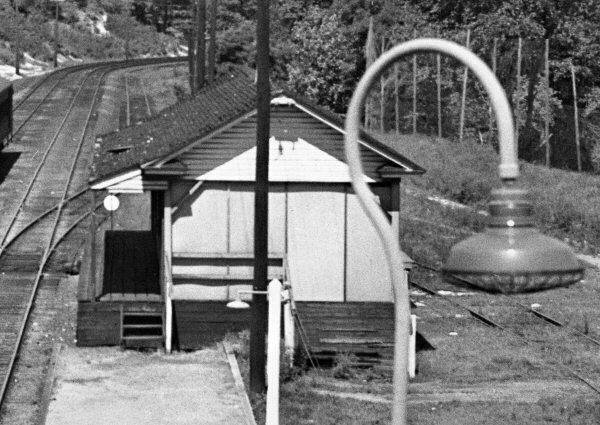 After 1955, it obviously served as the Express House and the house track was renamed "exp hse" track.